Last month, the Indigent Care Stakeholder Work Team, formed by Meharry Medical College President and CEO James, E.K. Hildreth, PhD, MD, unveiled their vision for a revamped safety net healthcare system that leaves no one behind. Members of the work team included representatives of Nashville General Hospital, private hospital systems, area health clinics, city government and local churches. The recommendations in the report (click here for full report) were the culmination of 14 months of studying indigent care models in other cities and conferring with area providers who serve the underserved. "Unfortunately, although we've made a lot of progress in healthcare and medicine, the progress has not benefitted all populations equally," Hildreth said of the impetus to form the team. "Social determinants of health have a lot to do with that," he continued, adding many researchers and public health officials now recognize a person's zip code matters as much or more than their genetic code. In Nashville, as across the nation, there are zip codes with a shortage of primary care physicians, affordable housing, effective transportation, safe recreational areas and nutritious food ... all of which combine to make it difficult to achieve and maintain health. "Like many, I've adopted the mantra that health is more than the absence of disease," said Hildreth. "What we really want is to keep people from getting sick or being unhealthy in the first place. That starts with social determinants and delivering care in the appropriate setting." He continued, "When points of service are not aligned appropriately, it ends up costing much more. What distinguishes the populations are when, where and how conditions are brought to the attention of healthcare providers. When people turn up in the emergency department, it's often very late in an episode." The work group formed shortly after former Mayor Megan Barry announced the intention to end inpatient care at Nashville General Hospital and turned their focus to the patient at the center of the system. 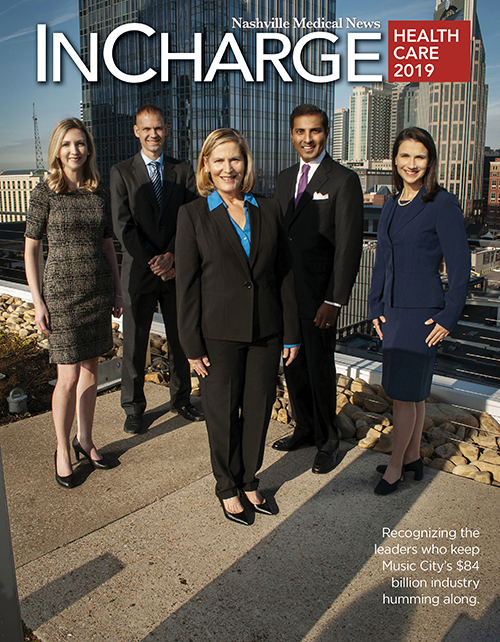 While the decision to end inpatient care at Nashville General was rescinded, the broader focus of care delivered in the right place at the right time remained central to the vision. "The hospital is a key component of taking care of the vulnerable in the city, but it's just one component," noted Hildreth. In addition to Nashville General, Hildreth was quick to praise the work of Ascension Saint Thomas, HCA and Vanderbilt in caring for the uninsured and underinsured, as well. To move the needle, however, Hildreth said care had to be conveniently accessible in the community. "We have to deploy and utilize advanced practice providers including nurse practitioners and PAs," he said of delivering lower acuity care. Physicians would still play a critical role in oversight, Hildreth said, but more manpower is required on the primary care front. 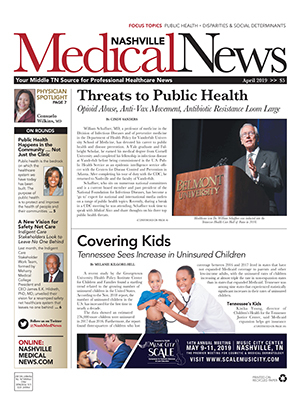 Utilizing a collaborative network to deliver integrated, patient-centered care, the plan calls for the development of an indigent care management program called BetterHealth Nashville®, which will coordinate care for patients to ensure services are adequately funded, treatment is tracked and integrated across care settings, and social needs are addressed. Meharry Medical College will manage the program and assign care coordinators to help eligible patients navigate the broader healthcare system. "When you look at Nashville as a city, I would venture to guess there aren't many cities with the kinds of healthcare resources as we have. The beauty of the proposal is it leverages the strengths we already have in the city," he said, adding the disparate voices and viewpoints at the Indigent Care Stakeholder Work Team table allowed them to come up with a plan that utilizes all those resources. 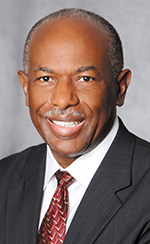 Churches, faith-based clinics, federally qualified health centers, Metro Public Health, city planners, Nashville General, and the three large hospital systems all have a role to play in addressing social determinants and delivering care to vulnerable populations at the most efficient point of contact, said Hildreth. "We're not asking the hospitals to do any more charity care than they're already doing ... because they do a lot ... and maybe we transfer some of the lower acuity patients to Nashville General Hospital, which would free up their beds," Hildreth added of utilizing the three big hospital systems for specialty services that couldn't easily be accessed in other settings. "We have to do this in a way that is cost conscious," Hildreth stressed. "If we do this right, the cost of indigent care should go down. The next step," he continued, "is to create an organization to operationalize this plan." By next month, he hopes to begin that process. While setting up the infrastructure will take time, he has no doubt stakeholders across the continuum will come together to create a system that leaves no one behind. "There are a lot of people in the city who want the same thing - to help those who are vulnerable or without access to care," Hildreth concluded.